Rent villas and apartments in Otricoli, Italy. This 2 bedroom apartment with swimming pool is located in Otricoli and sleeps 4 people. It has WiFi, barbeque facilities and parking nearby. 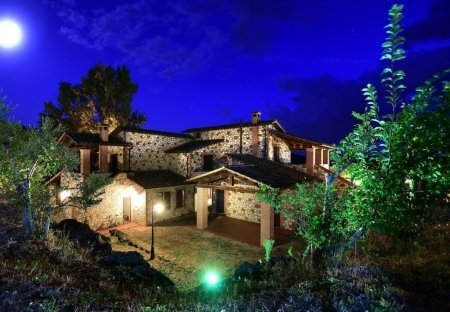 Characteristic detached holiday house with outbuilding and swimming pool in a panoramic position, set in the beautiful hills of Umbria, on the border between Umbria and Latium. Beautiful holiday home with garden where you can spend a nice holiday a few minutes on foot from the town of Otricoli and 14 km from Narni in Umbria.